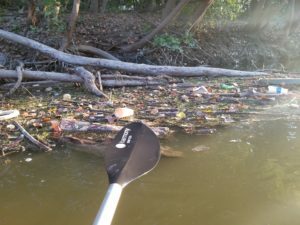 BCS Management and Maumee Rentals will return to co-host the 2nd annual river fun and Maumee River Clean-up Day in Fort Wayne! Last year was a great success, and we’re looking to make the event even bigger in 2018. The rivers are the heart of our city and should be both enjoyed and cared for. We will be meeting at the Public Passageway just past the dam at North Anthony Blvd. Canoes for up to 16 people will be provided by Maumee Rentals. We would like to have crews of 2-4 or so picking up trash, clearing away invasives and planting seeds on the banks to rebuild. The target cleanup area is from Anthony to Kreager Park with easy bank access from the river greenway. Anyone using a provided canoe will need to sign a liability waiver. For your own comfort please wear clothes and shoes you don’t mind getting wet. We will also have some giveaways! It is going to be a really fun with even more details to come! Please RSVP on the Facebook event page by September 1st if you want to attend. This helps us get ahead of planning clean-up areas based on the number of anticipated attendees.